The first question that many soon-to-be-mothers (and fathers) ask themselves is, “Am I even entitled to any maternity leave at all?” The answer is usually, yes. Getting pregnant, having a child and becoming a parent is all a part of the circle of life. The work that we do every single day in order to sustain ourselves and our families may sometimes get in the way of staying as healthy and stress-free as possible in order to safely carry the pregnancy to full-term and everything required post-pregnancy, when one officially becomes a parent. There are Acts in place that were created in order to provide care for pregnant and new parents, and to stop any discrimination towards women are pregnant. Pregnancy leave refers to a specific period of time that allows new mothers to take a leave from work in the event of pregnancy, childbirth, loss of pregnancy, and any physical and mental conditions that arise from any of the listed actions listed above. Under the state of California, all women are entitled to Pregnancy Leave. Included in these rights lies the right to reasonable accommodation and the right for a woman to get time off of work to recover from the birth and to take care of the newly born child. It is against the law for employers to terminate, refuse to hire, harass, bar, or discriminate in any way shape or form against a pregnant woman because the employee is pregnant. Pregnancies are difficult to manage, and it is not very hard to see why: women are growing a living human growing inside of them, taking their nutrients and physically changing their body. In the state of California, illnesses that come from the pregnancy are considered to be disabilities. The definition of “disability” is a fairly broad concept, which allow pregnancy complications to fit in there and give women disability leave when it comes to not only their health, but the health of the unborn child gestating inside of them. A pregnancy disability is a physical or mental condition which is directly or indirectly related to the pregnancy, or childbirth, that prevents women from being able to perform their essential employee duties, or if the job poses an unnecessary risk to the employee or towards the completion of the pregnancy. For example, if the employee works with heavy machinery or dangerous chemicals, her job poses a threat to not only herself, but the unborn baby as well. She thus qualifies for pregnancy disability. If a pregnant woman qualifies for pregnancy disability leave, she may be able to take up to four (4) months of leave during the time that is actually unable to perform her work duties, or “disabled,” by the challenges of pregnancy, or some pregnancy-related condition. The exact amount of time that a pregnant employee may take pregnancy disability leave depends on each pregnant employee’s situation. If, however, the employee has a “normal” pregnancy and delivery, it is generally up to four (4) weeks prior to the birth of the child, and up to six (6) weeks after the birth to bond and take care of the child. Pregnancy disability is considered to be a short-term disability. This type of leave serves to cover your salary, or at least a portion of it, during the time that the pregnant employee is unable to perform their job due to an illness, complication, injury, or childbirth. Pregnancy disability leave is simply a leave from work in order those employees who have disabilities from the pregnancy or are unable to perform their employment duties during the pregnancy. This leave that is provided by the pregnant employee’s healthcare provider is in addition to any leave for which the employee may be eligible under the Fair Employment and Housing Act (FEHA), California Medical Leave Act (CMLA), and any other state and local ordinances. Employers must provide all pregnant women who they employ reasonable accommodations if it is requested, and especially if a health care provider has advised that she get accommodation to help her through the pregnancy. Any additional leave that is reasonable accommodation once PDL is over. It is unlawful for California employers to discriminate in any way shape or form against female employees who are pregnant or will become pregnant. FEHA prohibits such discrimination against pregnant employees or applicants and is considered to be a type of gender discrimination. It is considered gender discrimination because only women can become pregnant, and discriminating against women is against the law. It is also illegal for any employer to terminate a woman for being pregnant or is expecting to become pregnant solely off the basis of her being with child. If an employee has been terminated because of her pregnancy, it is considered a wrongful termination and has the right to file a suit against her former employer. An employer cannot fire a pregnant employee if the employee was absent from work and the absence fell within the provisions of the employer’s sick leave policy. For example, if the employee has to get an ultrasound (or some other medical procedure in relation to her pregnancy) the employer may not punish or terminate that employee because her absence fell within her leave. 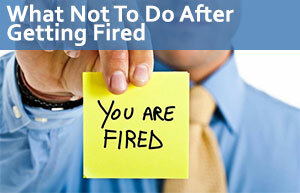 However, just because an employee is pregnant, does not mean that they cannot be fired. If the employee has a record of being a bad employee, meaning she does not complete the work that is required of her, she can be terminated. If they are laying off an entire department and the pregnant employee is a part of that department, she unfortunately can go too. Employees who have taken leave from work due to pregnancy or maternity leave may not be discriminated against. This leave that they took is their right and may not be infringed upon. When their leave time has expired and they return to work, they have a right to return to the same position they were at before they took their leave. If the same position is not available, the employer must make accommodations for a very similar position. The employer is not allowed to deduct or cut any of the returning employee’s pay upon their return. In addition, if the employee was eligible for a bonus before the leave, the employer must consider the employee upon her return. In the state of California, there exists the California Family Rights Act (CFRA), PDL, and FMLA. Employers must be aware and comply with all legal requirements of these acts which were created in order to deter the discrimination towards pregnant or expecting women. Any organization in California must comply with these laws because the consequences for not doing so result in costly outcomes such as legal and employee retaliation. The employee must have worked for a total of 12 months with the employer. The 12 months do not have to be consecutive, meaning that the total accumulation of time worked must be equal to or greater than 12 months. Within those 12 months of employment, the employee must have accrued at least 1,250 hours before the CFRA is set to begin. The employer must have at least 50 part- or full-time employees on the company payroll within 75 miles of the worksite as of the date the pregnant employee gives notice. To provide care for an immediate family member, like the offspring, spouse, or parent (but not an “in-law”) with a serious health condition. An employer may not force or coerce an employee to take their pregnancy leave simply because she is pregnant, so long as the employee is able to perform her job with the necessary accommodations that the employer have been required to make for her. Such an act by the employer violates Title VII of the Civil Rights Act of 1964, even if the employer means no malice and genuinely believes that they are acting in the employee’s best interest. Failure to provide leave for a FMLA qualified employee gives that employee the right to file a complaint against the employer. In addition, the employer cannot count the leave as “FMLA leave” retroactively. Meaning that if the leave the employee took was not specified as FMLA, the employer cannot determine the leave to have been so after the fact. If you would like to hire a lawyer to sue your employer for employment law violations, or if you would like a second opinion on your case, please contact our law firm for a free case review.